February 7th – 14th of each year is congenital heart defect awareness week. In honor, I’m going to post each day of this super special week. They won’t be huge, long posts, but just posts from my heart and my thoughts. Maybe a few trips down memory lane with Annabelle. I hope and pray that you join me as you’re able, and share when you feel led so we can spread awareness of congenital heart defects and honor those sweet little heart-heroes that are fighting or have fought for every single day of the life. But today, on this first day of CHD awareness week, I’m reminded of how much life has changed for us since our sweet one with a special heart was born. When you have a child living with a heart defect, or with a new heart because of said defect, normal becomes something totally different. 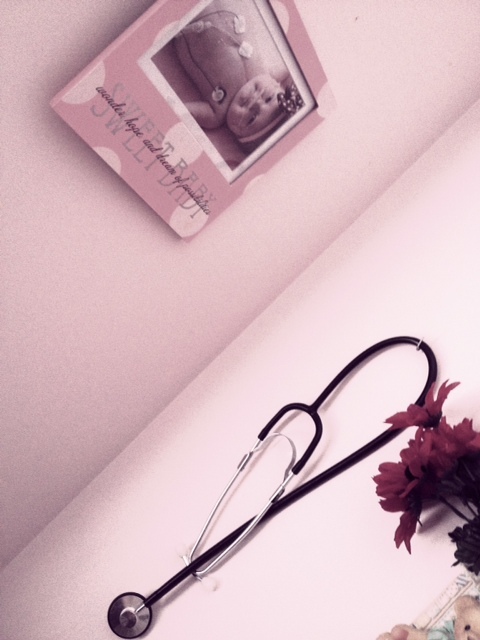 Normal is having a stethoscope hanging above my child’s dresser. 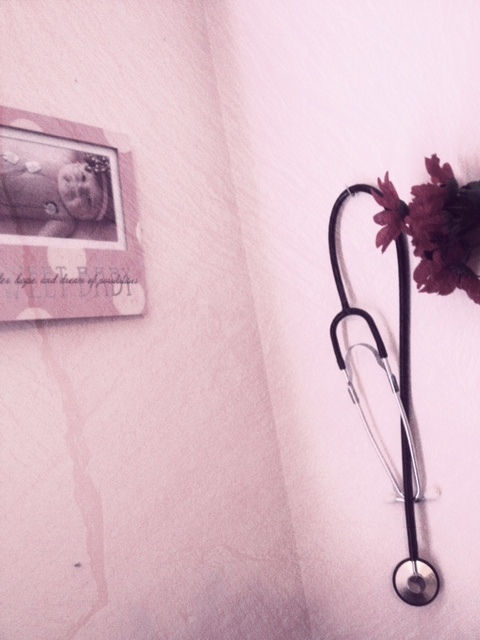 Normal is an O2 concentrator running in her room at night, and being able to put a nasal cannula on a 2 year old without a fight… because she’s just used to it. Normal is having this insane need to check all children’s “cap refills” like the nurses used to do to Annabelle. Normal is then having nightmares all night about having to rush my child to the hospital because the fever really was something much worse. Normal is installing hand sanitizer pumps on the walls by each door that comes into my house. Normal is letting her run with abandon and forgetting to “correct” her when it is NOT an appropriate place to run because I’m just so incredibly thankful that she finally has enough energy to run. Normal is… as I put my sweet girl down for bed each night… thanking God for each day, each hour, each second that he has gifted us with her today. In some ways, this new normal is a GOOD thing. I’ve learned to love fiercer, forgive easier, and not take forgranted things that before were just, well, normal. As a heart-momma, I choose to embrace my new normal and not resent it. I HATE CHD’s, don’t get me wrong. But I can’t change the past, so I choose to grab hold of our present and love and cherish it with all I’ve got. I have followed your blog for awhile and I asked my library to get your book. I recently finished it and it was such a great story with wonderful Christian elements in it! I really enjoyed it! Love the post. You hit the nail on the head for the transition of what us "heart moms" once considered normal to the "new normal". Thanks for sharing.